Spec D Tuning was founded on the idea that high quality & low prices can co-exist. Now, that might seem about as far fetched as the Easter Bunny, or Santa Clause, but those two contradictions exist in perfect harmony, thanks to Spec D Tuning. Spec D Tuning is a powerhouse in the world of aftermarket car accessories. They literally make everything that you can think of, and we’re about to prove it: Need new headlights? Spec D makes projector headlights, euro headlights, R8 headlights angel eyes, and xenon bulbs. Gotta brake light out? Spec D makes LED tail lights, Altezza tail lights, and the LED third brake light. But Spec D lighting is just the start. Want to jazz up the outside of your ride? Try Spec D spoilers, billet grilles, chrome pillar post covers, side vents, moldings & bumpers. And you can also peruse their huge catalog of chrome accessories too. If you want to go faster, Spec D Tuning makes all kinds of performance parts. They have racing mufflers, performance exhaust systems, headers, intercoolers, cold air intake systems and performance air filters. And to keep all that extra power glued to the road, Spec D makes coilovers, strut bars & lowering springs too. By now, you’ve probably realized that Spec D Tuning’s part catalog is pretty big. Which it is, but the best thing about Spec D is their low prices. They’re so big, that they can make car parts for much less than their competitors. Then they turn around and undercut everybody’s prices…sort of like we do. 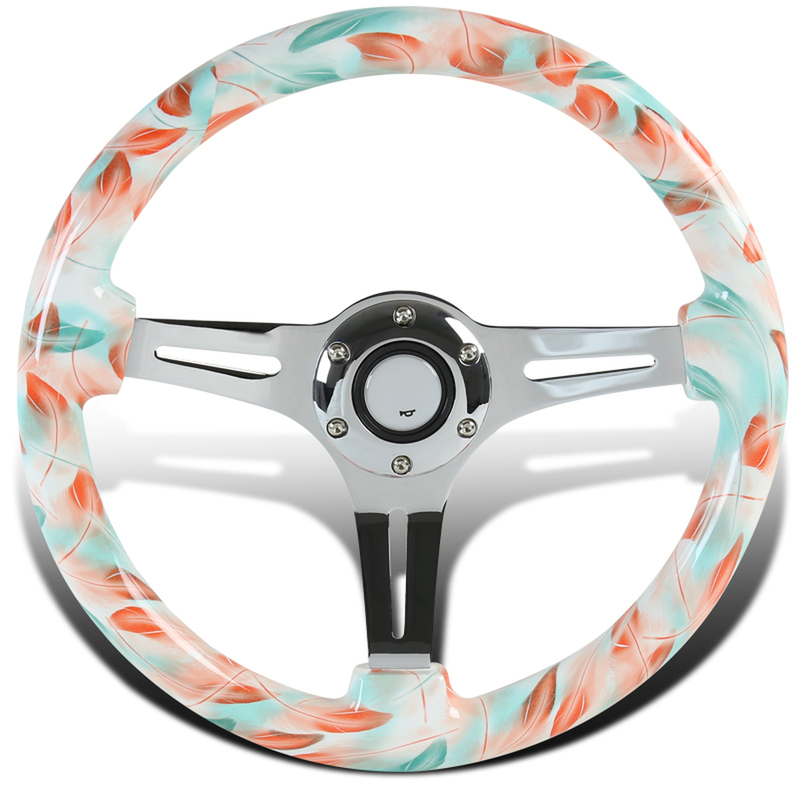 While this Spec-D Steering Wheels might fit your vehicle, unfortunately we can't guarantee fitment. Please read description and specifications to decide if this part is right for your vehicle.